最近在和安里開了一間叫Common Room的餐廳及酒吧，供應一系列的國際菜式和分子雞尾酒。食物的選擇不多，但每一款都是精心泡製的自創菜式，十分美味。我還試了一杯叫Kiss from a Rose的雞尾酒，有誘人的玫瑰花味和清甜的荔枝味，女士門一定要試試! 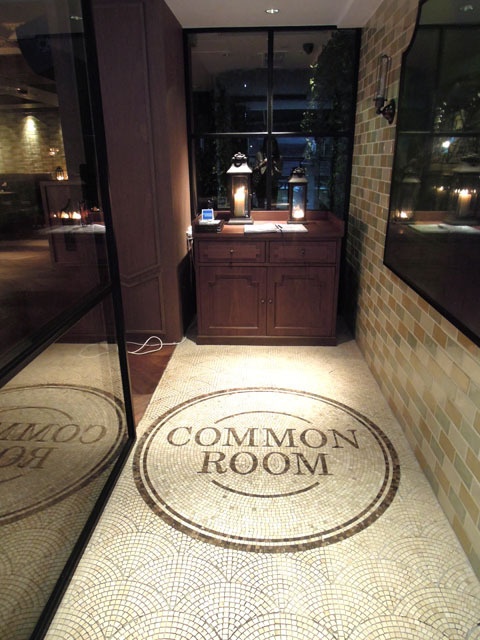 While Privé Group is still enjoying its success with Levels, an immensely popular nightclub during weekends with a permanently massive queue downstairs, it is already causing another stir in the community with its new molecular gastrobar, Common Room. 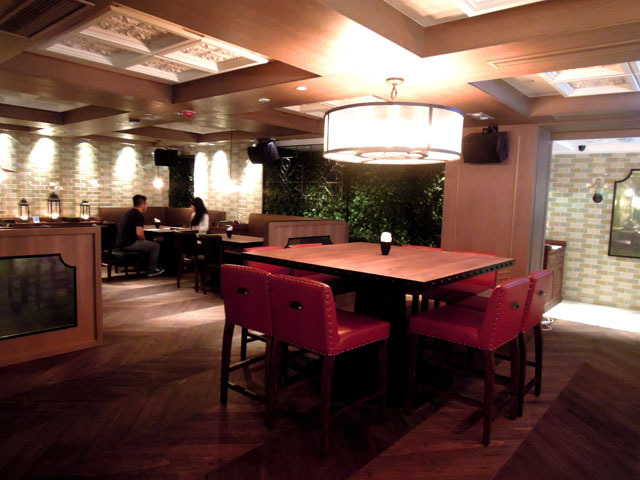 This gastrobar is located on Wo On Lane where Casa Lounge used to be, and only soft-opened on 12 April 2013, with its grand opening due to happen in a few weeks’ time. Common Room has a stylish yet subtly luxurious decor – the use of wooden surfaces complements its cosy set-up, and there is even a small outdoor terrace which is uniquely decorated with reclaimed ship wood! 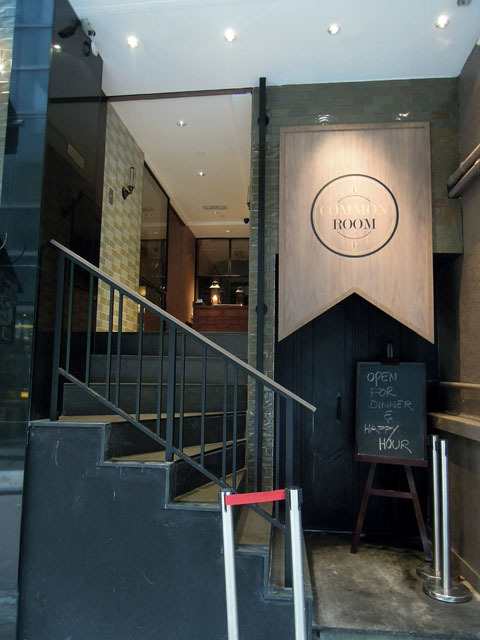 As its name “Common Room” suggests, this place is a destination to relax and mingle with with your friends, so there are communal tables in the dining area and all the tapas on the menu are in a sharing style. Besides their enticing selection of international tapas, you should also look out for their funky molecular drinks, meticulously prepared by the gastrobar’s three top mixologists. 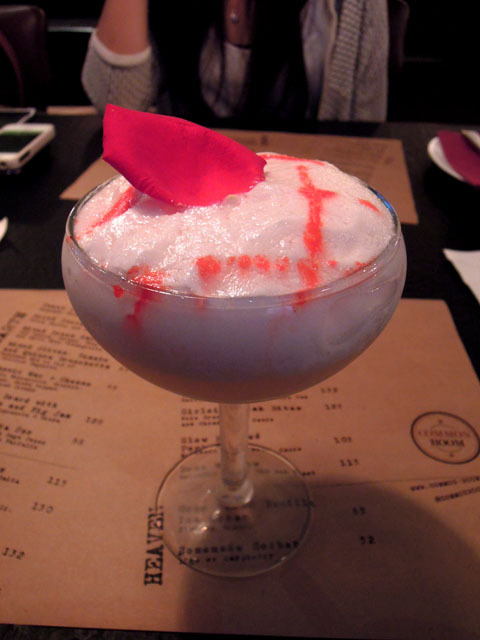 (1) Knowing how much I loved a Rose Petal Liquid Nitrogen Ice Cream that I recently had at AVA (see my review here), my friend suggested that I try the Kiss from a Rose ($105), a pretty cocktail which was topped with some homemade rose foam and elegantly decorated with a rose petal. Whatever funky molecular technique was used, it obviously worked as the foam, which had a consistency similar to that of beaten egg white, tasted incredibly rosy! 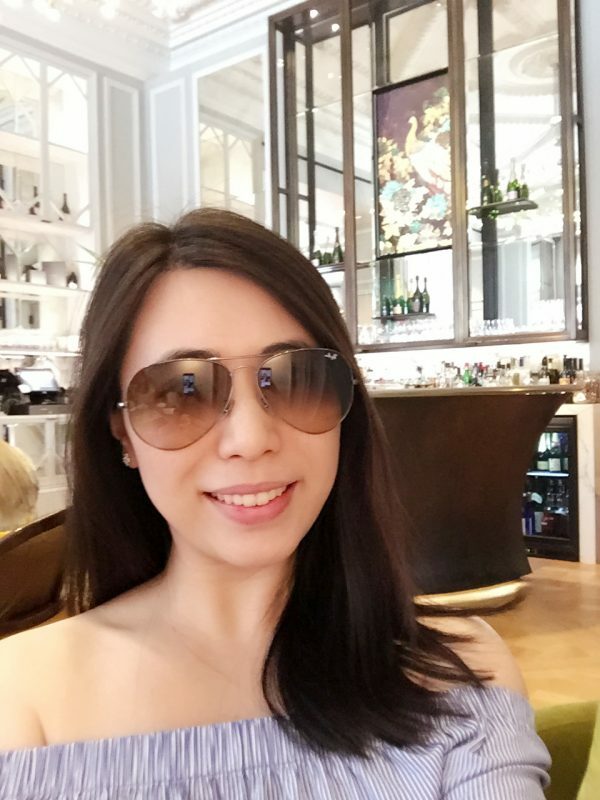 The cocktail was made with vodka, lychee liqueur, fresh lychee and a dash of lemon juice, and the alluring sweetness and fruitiness of it worked like magic for me. 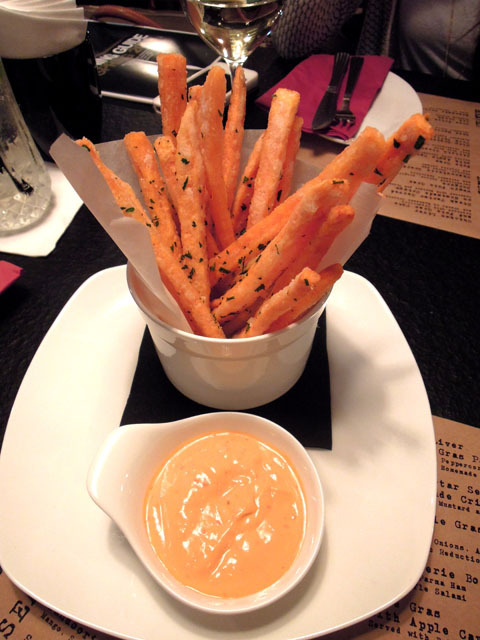 (2) Our first dish, Sweet Potato Fries ($58), set the bar high for our meal. Made with sweet potatoes, the fries were enticingly sweet, and the surface was beautifully light and crispy. Served with some homemade chipotle buttermilk aioli, this dish was an instant addiction. (3) I have never tried Tandoori Octopus ($115) before, but after my first bite it was already in my good books. The tandoori had a gorgeously firm and smooth texture, and the touch of sumac gave it a kick. 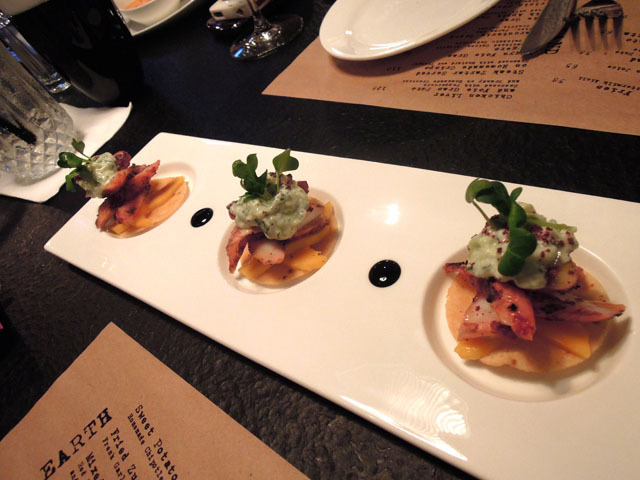 It was served with mango and some fresh raita on a piece of tostada. (4) The tapas at this gastrobar were meant to be shared, but I wasn’t sure at all that I wanted to share the Wagyu Foie Gras Burgers ($98). 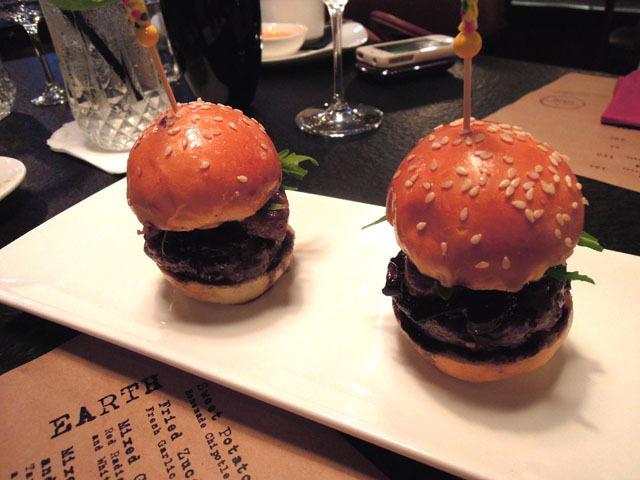 The burger patty was juicy, and there was a very decent chunk of foie gras in it – not bad for $98! A drizzle of balsamic reduction added a hint of sourness to cut through the fattiness of the burger. 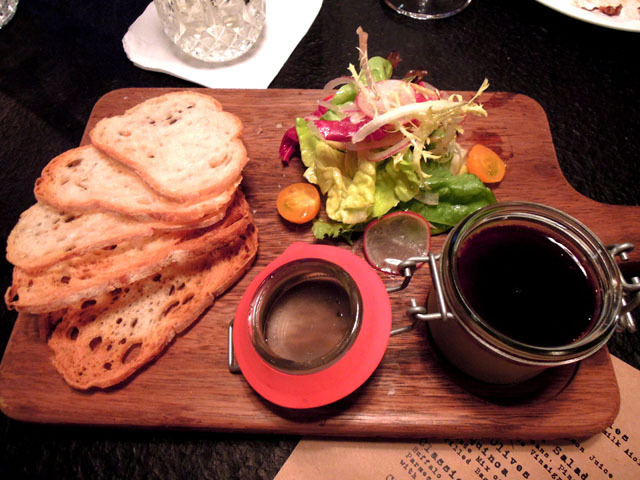 (5) Rustically presented on a wooden antipasti board, the Chicken Liver and Foie Gras Pate ($128) was a mellow and delightful dish. The pate had a good flavour, which was spiked by some peppercorn and brandy. (6) The Classic Mac + Cheese ($98) was exactly how I wanted it to be. 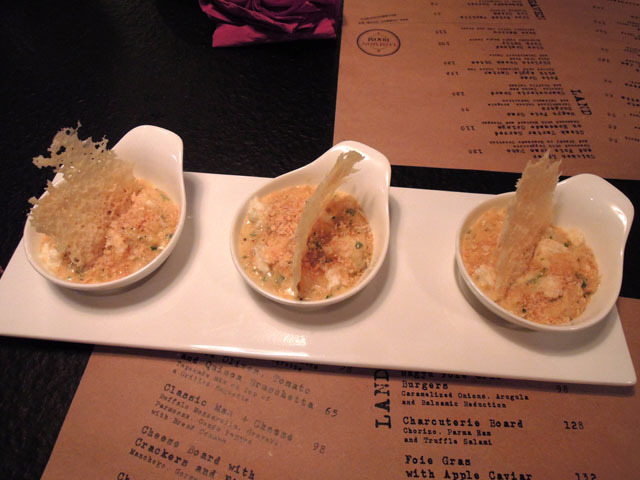 Daringly garlicky, the mac and cheese was also superbly cheesy – buffalo mozzarella, gruyere, parmesan and gouda were used to make this little bowl of goodness, and it was topped with bread crumbs which added an element of crunch. Don’t even think about ordering this if you don’t love cheese! Conclusion: Having sampled a cocktail and a few tapas at this new baby in Central, I was impressed both by the playfulness and creativity of the menu and by the kitchen’s faultless execution of it. Seeing how this is a sleek, charming venue that serves a selection of mouthwatering food, my biggest concern right now is that it will soon get as packed as Levels on a Saturday night!